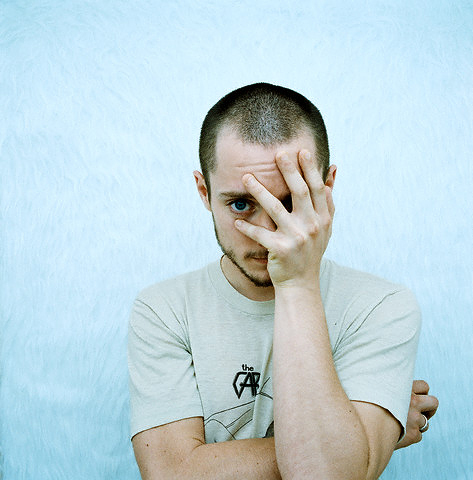 How does one describe Elijah Wood? An independent, cordial, inquisitive spirit comes to mind. While his exuberance started him in show business nearly three decades ago, his talent, professionalism and expressive face with intense blue eyes keeps him there. 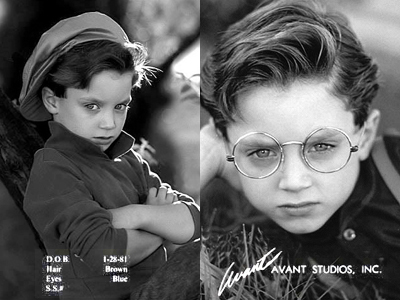 Elijah's enduring performance in Hollywood puts him in the elite class of the few former child actors of his generation still working today. He can uphold huge franchises, lift independent projects into the mainstream, and in all that time, whatever role he plays, he makes every project better for his contribution. Elijah is a versatile character actor with incredible range from dramatic to comedic. He strives for integrity, not only in his work, but as an individual, making him a favorite to collaborate with. He is an enthusiastic actor and producer of independent films, and a passionate sharer of music. All that Elijah does, breathes his zest for life and for his art. 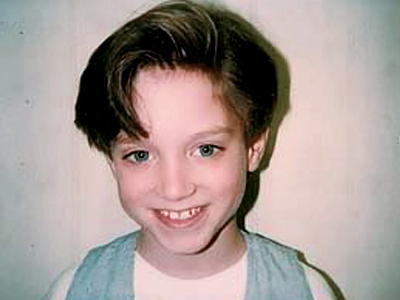 It was a chilly Wednesday that Elijah Jordan Wood was born in Cedar Rapids, Iowa, USA to parents Warren and Debra Wood on January 28, 1981. He has a brother, Zachariah (Zach), who is seven years older, and a sister, Hannah, two years younger. But it was the middle child of the biblical-named siblings who was a handful. As a toddler, Elijah was a fireball with plenty of excess energy, and at age two, he locked his mother out of the house, then went on to ruin the family kitchen. This act of frivolity earned him the nickname, "Monkey." Events and experiences in Elijah's early youth foreshadow his tastes and preferences 30 years later. When Elijah was still a small boy in Iowa, his parents started two delicatessens; "Alfalfa's" in the local mall, and "The Souper," in downtown Cedar Rapids. His mother created the menus, and Elijah spent time in the restaurants after school. His passion for good food may have its origin right there. About the time Elijah started kindergarten, he saw his first horror film. His brother Zach rented horror movies to watch with his friends and Elijah would sneak in, although his mother didn't approve. The first one he saw was a direct to video movie called, Truth or Dare: A Critical Madness. In later life, he recalled that it was exciting but the movie didn't unduly scare him. 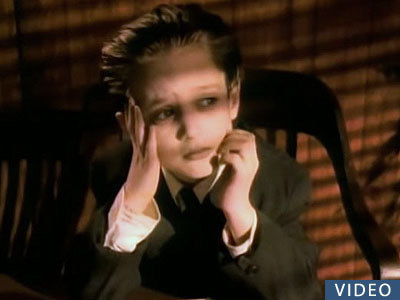 His fascination with horror films dated from that early age and the little help he had from his brother. Elijah's rambunctiousness led him to take part in plays at his elementary school where some of his energy was channeled. He appeared in The Sound of Music and played the title character in The Wonderful Wizard of Oz. A passion for music has existed in Elijah's family for generations. His great-grandfather and his uncle on his mother's side played in professional bands throughout their careers. He listened to music groups that ranged from The Temptations to The Monkees, and the latter's "best of" compilation was the first tape Elijah bought. Zach also influenced Elijah by turning him on to Prince, The Cure and The Smiths. Elijah now expresses this love of music, mainly as a DJ, encouraging people to listen to the original and unusual musical styles that he loves. To find other creative outlets for Elijah's energy, his mother thought it would be engaging for him to go into modeling. In 1988 he was enrolled in the local modeling school, Avant Studios (Avant Modeling & Talent), and worked in regional TV commercials, print advertisements and fashion shows. While modeling gave Elijah a starting point, there wasn't a solid market in Iowa to showcase his other inherent talents. But later that year, Avant took several students including Elijah, his brother Zack, and his mother to Los Angeles, California to participate in the IMTA Convention (International Modeling and Talent Association). During his performance for the talent showcase portion, Elijah forgot a few words to Don't Worry, Be Happy, but that didn't ruffle his young feathers. He leaped into an impromptu duet with the emcee and received a huge round of applause from the audience. As a result of his overall achievements, manager and judge at the competition, Gary Scalzo, took Elijah on as talent. 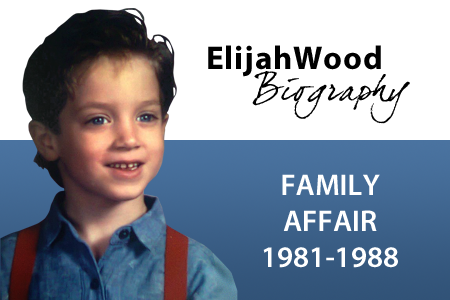 In an interview for UPI in 1990, Scalzo spoke about his perception of 7 year-old Elijah. "A lot of my friends asked if I'd seen Elijah, so I watched him for two whole days without opening my mouth. He was packed with personality and nervous energy. The big question I asked myself was whether I could control his energy. It was only a few days before his eighth birthday when I saw him perform his monologue. 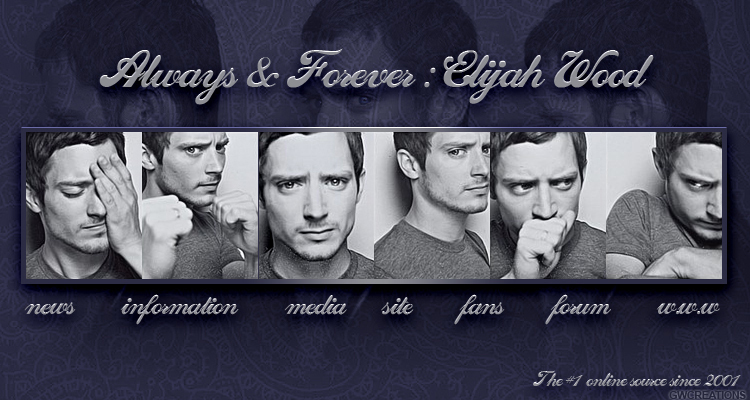 It was evident that Elijah was talented and enjoyed what he was doing, which is important." Scalzo went on to say, "Elijah's personality is just right for the screen. When he walks in, the whole room lights up. It's second nature to me to see that kind of magnetism in a child." When Elijah's potential became obvious, Debra moved with her sons to LA and they lived for about 18 months in housing set up for young actors and their families called the Oakwood Apartments. His father and sister would join them later. Elijah went out for auditions often and just six weeks later, he landed his first job in the Paula Abdul music video, Forever Your Girl, directed by David Fincher, which was released in February 1989. Realizing that a budding career in show business was inevitable for her talented son, Debra instilled strict values into Elijah to keep him grounded. He was no better than anyone else, and didn't need special treatment. He should wait in lines and chores and homework had to be done, and if Elijah resisted, she threatened to pull him out of the business. From great-grandfather to uncle, mother to brother, the apple doesn't fall far from the tree. The strong foundations Elijah gained during his youth would define his interests and keep him respectful, moral and polite throughout his career.